A slip of the tongue, or a glimpse at the future? "We launched a pencil not a stylus, first of all, and there's a big difference and the things that people are doing with this pencil, I think that Steve would have loved. He loved to help people create. "And If you've ever seen what can be created with that pencil on an iPad or an iPhone, it's really unbelievable." 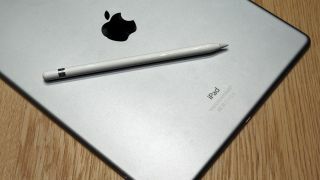 Currently, the Pencil is only supported by Apple's iPad Pro tablets, offering a very good digital handwriting and sketching experience. However, it's a bit on the chunky side, especially if it's set to be paired with a smartphone. While that's no big deal if you already own an iPad Pro and Pencil, you'd hope Apple was working on a smaller version if it really was hoping people would buy one for an iPhone. Apple's iPhone 7 is likely to launch tonight, with dual cameras expected to feature alongside the removal of the headphone jack.